There has been a resurge in militant attacks (MAs) and resultant deaths in June after a significant decline in May 2013. This resurge has been observed in Baluchistan, Khyber Pakhtun Khah (KPK) and Federally Administered Tribal Areas (FATA). The security situation in Baluchistan has badly deteriorated during June 2013 as militants have intensified their attacks as well as widened their activities to far more areas / districts of the province than those observed in the previous months. The province witnessed highest number of MAs and consequent fatalities during the month. The security situation has slightly improved in terms of MAs but the number of resultant deaths has increased in KPK. The security situation has again worsened in FATA in June after an improvement in May following a military operation in Khyber agency. It was believed that the improvement in security situation in FATA was a consequence of military operation in Khyber agency. But the worsening security situation contradicts this hypothesis. Alternatively, it was believed that the decrease in MAs and resultant deaths had some links with election results and prospects of peace talks between TTP and the newly elected government. TTP had offered peace talks and had decreased its activities. 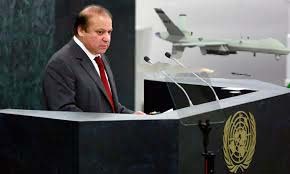 However, following a drone attack and resultant death of Waliur Rehman, one of the key leaders of TTP, the militants had withdrawn their offer and threatened to intensify attacks in Pakistan accusing that Pakistani government was responsible for the attack. The data compiled by CMC shows that the militants have intensified their attacks particularly in FATA where Khyber agency continued to be the epicenter of militancy in the area. Besides, the militants have also increased their activities in South Waziristan and Kurram agencies. It suggests that the militants’ strength is intact despite military operation in Khyber agency and other areas of FATA. The resurge in MAs in June shows that the prospects of peace have become bleak after killing of a key and pro-peace TTP leader in a drone attack. This is not the first time that drone attacks have subverted prospects of peace in the country. In 2004, a key militant commander Naik Muhammad was killed in a drone attack when he had signed a peace deal with Pakistani military. Several other pro-Pakistan Taliban leaders were also killed in drone attacks. These incidents suggest that the US administration does not want any peace deal between TTP and government of Pakistan and if any TTP leader shows his readiness to enter into dialogue with Pakistani authorities, he would be killed in a drone attack. The US officials have openly expressed their displeasure over any peace talks between TTP and government of Pakistan. The security situation in Baluchistan, KPK and GB also requires a careful analysis of the problem. In fact, security has become a major challenge for the new government as some new dimensions have been added to the ongoing wave of insurgencies in the country. The government needs to evolve a prudent strategy to deal with the new situation and should avoid over-simplifying the complex problem. The massive increase in MAs in Baluchistan and destruction of historical Quad-e-Azam Residency at Ziarat, Quetta, also suggest that the militants and their sponsors are determined to subvert peace initiatives in the province. The killing of MPAs of ruling PTI in KPK suggests that some elements want to drag the party and its provincial government into the war against terrorism as PPP and ANP were pushed into this war in the past. PTI is opposed to this war and is considered to be pro-Taliban party in the country. Attacks on its elected representatives and killing of MPAs seem incomprehensible for security experts. The killing of foreign mountaineers in Dyamir suggests that the militants have increased their influence and reach to the far more areas of the country. It also shows the level of their training and courage. The attack is considered to be a part of a conspiracy to destroy Pakistan’s tourist industry and subvert country’s relations with friendly states such as China and Russia etc. The militancy also has sectarian dimension and it has its roots in different parts of the country mostly manifested in Baluchistan, and occasionally in KPK and GB. The sectarian dimension of militancy was again evident in Baluchistan and KPK in June. The militants targeted minority Hazara community in Quetta and attacked prayers in a mosque in Peshawar. Such attacks widen sectarian divides and are major threat to the security and integrity of the country. The government needs to provide security to minority communities in the short-term and devise long-term strategies to address the problem of sectarianism in the country. The most important step should be stop playing old card of using one community / sect against others for short-term benefits.